The poetry night at Sappho in May will be held on the FIRST Tuesday of the month (not the usual second Tuesday) and will be a celebration of the recently announced Overland Judith Wright Poetry Prize shortlistees and winners. Poets appearing include Julie Jedda Janson, Joel Scott, Julie McElhone, Dave Drayton, Robin M Eames, Sarah Rice, Kaitlen Wellington, plus one of the judges for the prize, Alison Whittaker. As there are 8 poets performing, there will be no way to squeeze in the open mic section (apologies in advance!). 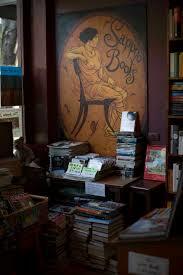 But, rest assured, the open section will return at the next poetry night on the second Tuesday of June. Entry is FREE! Drinks and tapas available at the bar. JULIE JEDDA JANSON is a Burruberongal woman of Darug nation. She is a teacher, artist, playwright and poet. In 2016, she was the recipient of the Oodgeroo Noonuccal Poetry Prize. Her published works include The Crocodile Hotel (Cyclops Press, 2015) and The Light Horse Ghost (Nibago – Booktopia, 2018). JULIE MCELHONE has just completed a Master of Creative Writing at the University of Sydney. She has had poems published in issues of the Deakin University student publication, Windmills. Her poem ‘Backtracking’ will be published in the upcoming issue of Rabbit Poetry Journal. Her professional background was in the performing arts and theatre administration. DAVE DRAYTON is a poet, writer and Overland poetry reader. He is a founding member of the Atterton Academy, Kanganoulipian, and the author of E, UIO, A: a feghoot (Container), P(oe)Ms (Rabbit), A Pet Per Ably-Faced Kid (Stale Objects dePress) and Haiturograms (Stale Objects dePress). ROBIN M EAMES is a queercrip poet and historian living on Gadigal land. Their work has appeared in Cordite, Meanjin, Voiceworks, and Deaf Poets Society, among others. SARAH RICE’s poetry collection Fingertip of the Tongue (UWAP) was shortlisted in the ACT Publishing Awards, and her work has been widely published. Sarah won the Ron Pretty and Bruce Dawe Poetry Prizes, co-won the Gwen Harwood and Writing Ventures, and has been shortlisted in numerous other awards. KAITLEN WELLINGTON is a descendant from the Jerrinja people, Yuin Nation, who is a BA student at UOW. She is a young emerging writer, who finds inspiration in the land and contemporary expressions of culture. She believes in the power of storytelling and intends to explore varying forms during her unfolding career. ALISON WHITTAKER is a Gomeroi multitasker from the floodplains of Gunnedah in NSW. Between 2017–2018, she was a Fulbright scholar at Harvard Law School, where she was named the Dean’s Scholar in Race, Gender and Criminal Law. Her debut poetry collection, Lemons in the Chicken Wire, was awarded the State Library of Queensland’s black&write! Indigenous Writing Fellowship in 2015. Her latest book, Blakwork, was published in 2018. Alison was the co-winner of the Overland Judith Wright Poetry Prize in 2017 for her poem, ‘Many Girls White Linen’.